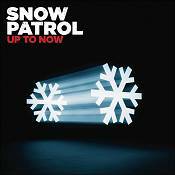 Snow Patrol have just announced details of 'Up To Now', a collection of the band's best loved songs, as well as 3 new tracks including forthcoming single 'Just Say Yes'. Snow Patrol are one of the biggest and boldest bands of the past decade. Over fifteen years and five studio albums, the part Scottish, part Irish five piece have sketched heart-bruised ballads ('Set Down Your Glass') and arm-around-your-best-mate festival anthems ('Run'); radio hits ('Chasing Cars') and moments of painful introspection ('You Could Be Happy'). All of these have been gathered together for 'Up To Now' – a thirty track, double album of singles, cover versions, rarities, album tracks and a handful of new songs as well as compositions by the Reindeer Section – an indie supergroup featuring members of Scotland's guitar elite – Belle and Sebastian, Idlewild and Teenage Fanclub among many others – and co-ordinated by Snow Patrol frontman Gary Lightbody. Released on the 9th November 'Up To Now' will be available on a two disc CD featuring thirty tracks, and a three disc digipack with an additional DVD which offers two exclusive documentaries, 'The Lightning Strike' animated film and previously unseen live footage. The Killers release their first live DVD on November 9th 2009. Filmed at London's Royal Albert Hall during two very special shows in July, the film highlights how, in five short years, the Las Vegas band has become one of the biggest and most exciting live bands in the world, with the showmanship to match their incredible catalogue of songs. This package also includes the band's first and only live CD with 80 minutes of live performance, as well as a behind-the-scenes documentary. Rather than filming one of their massive UK arena shows earlier this year (the band sold out an incredible 150,000 tickets in just two hours of going on sale), The Killers chose to film at the Royal Albert Hall, a venue with which they fell in love when they played an exclusive launch show for their million-selling (UK) third album, 'Day & Age', last November. This beautiful and historic room, built by Queen Victoria in memory of her Prince Albert in 1871, now holds a special place for the band. As, indeed, does the venue hold the band in its heart – an image of The Killers is painted within its corridors in a graffiti installation alongside other previous artists to have famously played there, including The Beatles, The Rolling Stones, The Who, Hendrix, Clapton, Sinatra and Pavarotti. 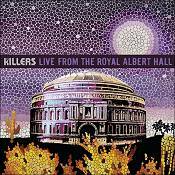 The Killers – Live From The Royal Albert Hall features tracks from the band's three studio albums, 'Hot Fuss' (2004), 'Sam's Town' (2006) and 'Day & Age' (2008) – including huge hit singles 'Human', 'Spaceman', 'When You Were Young', 'Read My Mind', 'Mr Brightside', 'Somebody Told Me' and 'All These Things That I've Done' – as well as rarer tracks including a cover of Joy Division's 'Shadowplay' and fan favourite 'Sweet Talk' (from the 2007 collection of rarities, Sawdust). 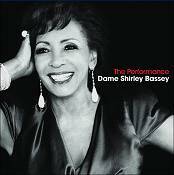 Dame Shirley Bassey, Britain's most successful female artist ever, releases her brand new album 'The Performance' on November 9th on Geffen Records. The 11-track album is Dame Shirley Bassey's first full studio album in over 20 years. David Arnold, the Grammy Award-winning producer best known for scoring five James Bond films has produced the album. 'The Performance' features songs written specifically for Dame Shirley Bassey, by a stellar cast of contemporary artists, including Take That's Gary Barlow, Manic Street Preachers, Pet Shop Boys, KT Tunstall and Rufus Wainwright. The album also features a brand new composition from John Barry and Don Black; the first new song written by them for Dame Shirley since 'Diamonds Are Forever'. 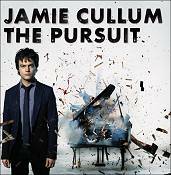 The UK's favourite jazz man and vocalist Jamie Cullum, returns with his third and best album to date, 'The Pursuit'. The album is packed with catchy tracks spanning across the pop, hip hop and jazz genres. Including the lead single 'I'm All Over It', an outstanding take of Rihanna's 'Don't Stop The Music' and the spectacular ballad 'Love Ain't Gonna Let You Down' as well as many more. Jamie Cullum's 'The Pursuit' is by far the must-have album this winter. Miley's 'Party In The U.S.A.' has already taken the USA by storm, catapulting straight into the #2 spot in the Billboard charts in it's first week. The track tied her for the highest debut of 2009 alongside Black Eyed Peas monster hit 'I Gotta Feeling' and the track has held number one on iTunes for the seventh week, selling over 1.1 million downloads. 'Party In The USA' was co-written with Dr Luke who has also worked with other superstar artists including Britney Spears, Kelly Clarkson and Katy Perry and the video was directed by Chris Applebaum who has recently worked with Rihanna and Britney Spears. The track is the first to be released from her latest album, 'The Time Of Our Lives' which is set for release November 2nd in the UK. 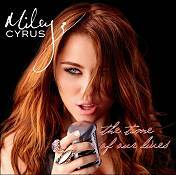 The album also features Miley's monster hit 'The Climb' and her duet with the Jonas Brothers on 'Before The Storm'. After three decades, Donny and Marie return with their brand new album Donny & Marie. The showbiz sibilings collaborate with a showstopping album of mega hits. This album includes a moving rendition of 'I Swear' and the fantastic, catchy lead single 'Vegas Love'.